Leading Exporter of embroidered salwar kameez, batik cotton salwar suit, embroidered ladies suit, embroidered lehenga, fancy embroidered suit and fancy printed salwar kameez from Chennai. We are the Leading Supplier,Trader and Wholesaler of Embroidered Salwar Kameez in Chennai,Tamilnadu,India. We are the Leading Supplier,Trader and Wholesaler of Batik Cotton Salwar Suit in Chennai, Tamilnadu, India. We are the Leading Supplier,Trader and Wholesaler of Embroidered Ladies Suit in Chennai,Tamilnadu,India. 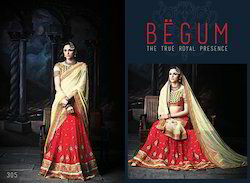 We are the Leading Supplier,Trader and Wholesaler of Embroidered Lehenga in Chennai,Tamilnadu,India. We are the Leading Supplier,Trader ,Exporter and Wholesaler of Fancy Embroidered Suit in Chennai,Tamilnadu,India. We are the Leading Supplier,Trader ,Exporter and Wholesaler of Fancy Printed Salwar Kameezin Chennai,Tamilnadu,India. We are the Leading Supplier,Trader and Wholesaler of Georgette Ethnic Wear in Chennai,Tamilnadu,India. 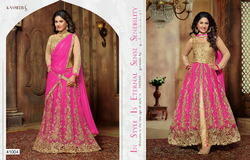 Looking for Embroidered Designer Suits ?